I really love this studio. Particularly The Wood Room. 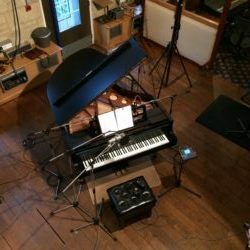 It has a gorgeous Bosendorfer Grand Piano and lovely, warm acoustics, an absolutely perfect setting for me and Weasel to record our album. Real World Studios are located in the village of Box in Wiltshire and are pretty famous as they are owned by Peter Gabriel, a true visionary who has created such an wonderful environment to capture and record music. For a short while we thought we may be able to record our music ourselves. We tried. I attempted to mic my upright piano and then tried miking Weasel’s drums and getting him to play along to the piano tracks but it wasn’t working. The energy we create when playing live together was missing. The recordings were disjointed. They lacked magic. Our time experimenting was well spent though as we simply went through the process of making guides and demos for our album. I was fortunate to have recorded at Real World before with The Home Fires and I knew that The Wood Room would be perfect for me and Weasel. Preparation before entering such a world-class studio environment is key so we were well rehearsed before we arrived and knew exactly what our plan was. We really didn’t want to waste valuable studio time by working out what it was we were actually going to do!! 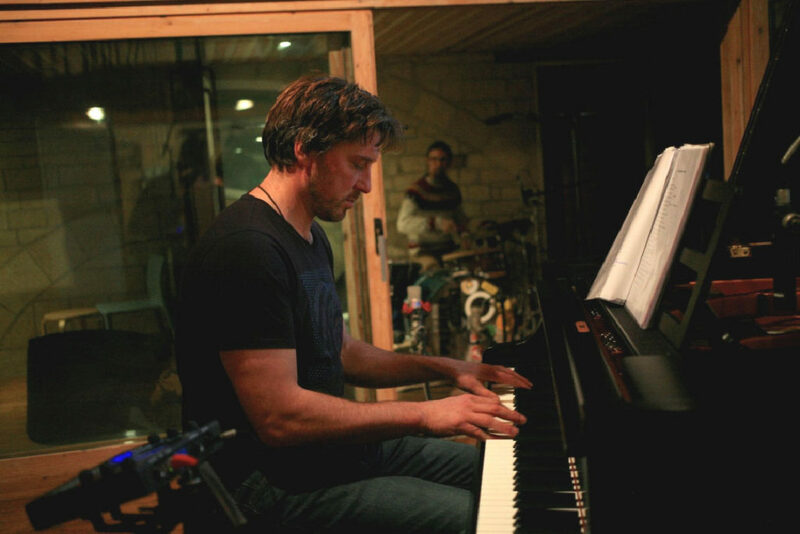 In one day, we put down the drums, piano and vocals to five songs including Panacea, Release, Sleep, Abraham’s Theme and Hope and are really pleased with the results. Studio engineer Patrick Phillips worked his magic on the desk. The songs require more work now. 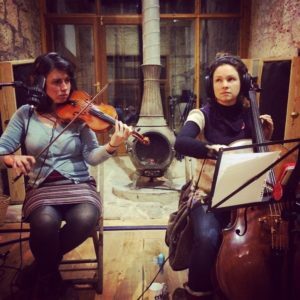 Last week, Bethany Porter and Sue Lord came over to Crossleaze Studios, just outside of Bath to record some strings and we are now in the process of putting down bass and some synth soundscapes before the tunes will start to move towards the mixing department. Our work at Real World is not yet done though. 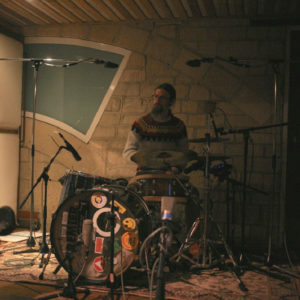 We plan to return in May for another session to put down the remaining raw bones of our album. We are currently in the process of writing material for this second phase of recording and it is sounding and feeling strong. During April we will be taking these new songs out on the road to give them some exercise and let them find their final form and shape before they are captured for eternity. It really is an exciting time. This will be the first album that I have ever released under my own name, although it is certainly not a solo album. Weasel has been with me every step of the way in developing, writing, refining and recording this new collection of songs. It is too early to make a call on the date of release. However, I felt that seeing how far we’ve come so far, I should share this with you. Hope to see you at an April gig – dates to be announced soon. P.S. Here is some footage taken at a gig last November at The Cause in Chippenham. This is a wonderful venue. The piano is ancient (dates to about 1880) and the acoustics are so great we required no amplification on piano or drums. Hope you enjoy this tune. It is called ‘Sleep’ and will feature on the new album.